Courtesy of Grey Rock Realty, Jordan Obermann. A great opportunity to build or remodel your dream house. 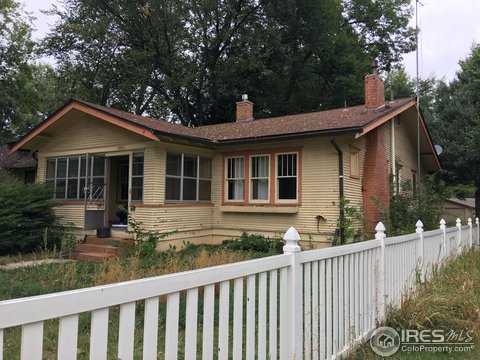 Located right on City Park, this charming craftsman style home has big potential. Further, the seller is Forge+Bow Dwellings, a local design build firm that has garnered national attention for their projects. F+B would love to assist a new buyer in this project. Alley access with a large lot, use one of F+B’s floor plans, or work with them to create something truly special. Seller is a licensed real estate agent. Please, send me more information on this property: MLS# 869328 – $575,000 – 1516 W Oak St, Fort Collins, CO 80521. I would like to schedule a showing appointment for this property: MLS# 869328 – $575,000 – 1516 W Oak St, Fort Collins, CO 80521. This content last updated on April 24, 2019 07:04. Some properties which appear for sale on this web site may subsequently have sold or may no longer be available.